How do you lose $134.8 million when net sales go up 15.7%? Square Enix lost Â¥13.7 billion ($134.8 million) in 2012, despite a net sales increase of 15.7% over the previous financial year. 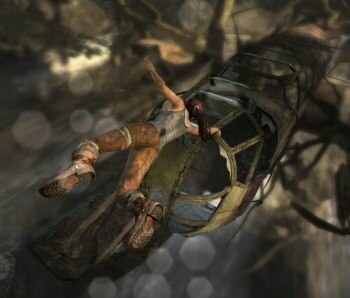 The fiscal year ending March 2013 - which saw the launch of Tomb Raider, a title that enjoyed exceptionally good sales despite not meeting all of Square's expectations - was dismal for Square Enix, and it blames underperformance of major console titles in North America and Europe, at least in part, for the loss. This despite that fact that, according to Square, net sales in the Digital Entertainment division went up 24.5%, contributing significantly to the overall net sales increase. Significant decreases in operating income, primarily in the Digital Entertainment section - Square's biggest business segment by far - are cited by Square as contributing directly to the exceptional loss. The Digital Entertainment division saw a drop in operating income - that is, profit less expenses, like cost of goods sold - of over 99%, when compared to the previous financial year, a drop that suggests massive Digital Entertainment expenses and overheads managed to dig the division a hole it could not sell its way out of, and perhaps had no hope of escaping. The only Digital Entertainment titles to do well, in terms of costs and sales, were Square's mobile and tablet titles. As a result, one of Square's new initiatives to increase profits is to target smartphones and tablets as a game platform. The console market, highly competitive and controlled by a small number of firms, just isn't working out for Square so perhaps, it thinks, mobile is the better bet. Improving turnover is also key to Square's new vision of the future. Finally, constructing a product portfolio "tailored to consumer tastes in respective served regions" is, according to Square's briefing session, its third strategy by which it intends to return its HD Entertainment division to profitable status. Square Enix anticipates an increase in operating income for the financial year ending March 2014; its target is Â¥25 billion ($245.5 million), which it intends to achieve ASAP. "Bold implementation of the business transformation" is Square's means of reaching that operating income target.